The elevation in Bicknell is 7,000 ft.
Bicknell was originally called Thurber (after A.K. Thurber) who built the first house in the area in 1875. 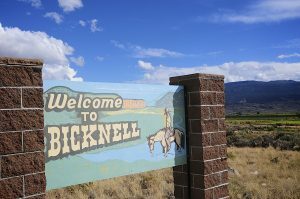 Thomas Bicknell, a prominent educator and historian of Providence, Rhode Island, wished to perpetuate his name to Utah and offered a library of 1,000 books to the town that would take his name. The town’s name was changed in April, 1916. Bicknell in recent years has received many beautification awards, and has Hotels and Restaurants to accommodate tourists. Bicknell also houses the county’s Middle School and High School. Bicknell has a County swimming pool the Bicknell theater and a town park. Caineville was named in honor of John T. Caine, a Utah Representative. John T. Caine settled in the Territory of Utah in 1852 and taught school. Caineville was situated in the left bank of the Fremont River, 52 miles southeast of Loa. Caineville is now a valley of small ranches with tourist related businesses, including a motel and cafe. Fremont has an elevation of 7,200 ft. This town was named after the explorer John C. Fremont, who passed through on his last and near fatal expedition to the west in the winter of 1853-54. The small town has a RV trailer park north of town near Forsyth Reservoir. 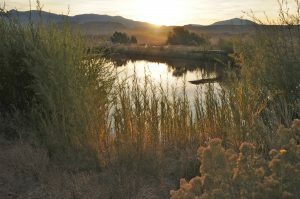 From Fremont there are roads which lead to Johnson Valley, Mill Meadow and Forsyth Reservoirs and the Fremont River which is famous for its rainbow trout. Near Forsyth Reservoir, a road leaves U 72 and climbs east to Elkhorn Campground which has an elevation of 9,300 ft. and a recreational season of June – October. Elkhorn Campground has six camping units with exceptional clear mountain drinking water. 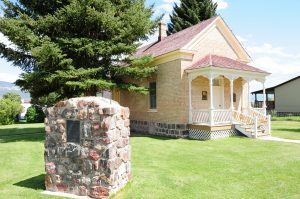 Between Fremont and Loa is Allred Point which features a historic monument dedicated to the original pioneers, there are plenty of camping spaces, drinking water and a trout stream running through the park. Fruita has an elevation of 5,400 ft.
Before the Park Service took over, this was a community known as Fruita. 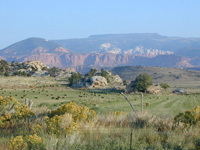 The Federal Government bought the land owners out and renamed the area Capitol Reef because of the reef that caps the landscape. In 1971, the Park Service completed the visitor center. The Navajo Indians called this the “Land of the Sleeping Rainbow”, because the formation (most colorful of the earth’s crust) is asleep because it lies on the ground. There are campgrounds, hiking trails, picnic areas, Indian petroglyphs, and many interesting things to explore. 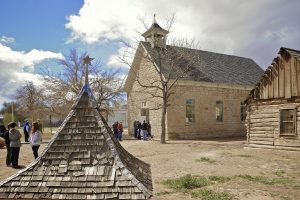 Inside the park, one mile south of the visitor center, is the old Gifford Historic Homestead featuring local arts and crafts. The elevation of Grover is 7,048 ft.
Six miles Southeast of Teasdale, this village was known as Carcass Creek, because of the dead animals that had died in the creek and the diseases that were brought on by drinking the water. Since Grover Cleveland was the President of the United States at the time the town was given a post office, it was named in his honor. The post office was later taken and a rural delivery replaced it, delivering mail three times a week. The Grover area includes the Fish Creek ranches to the west and south to the forest boundary. Primarily, Grover is a farming and residential community, but, has the Hale Theater which is very active during the summer months. The elevation of Hanksville is 4,300 ft. It was originally known as Graves Valley after John Graves, who is said to have been a member of the Powell Expedition. 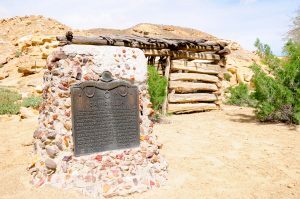 Ebenezer Hanks, guided a group of settlers that came to the area in April 1882, at this time the town name was changed to Hanksville. 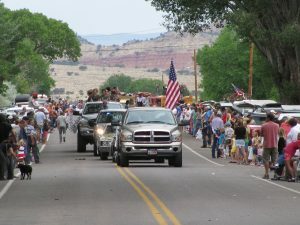 The Hanksville community is very self reliant, as they are located an hour from almost anywhere. The middle and high school grade students are bussed to Bicknell for classes. Hanksville has known a gold boom, uranium boom. Hanksville is the western gateway to Hite, Glen Canyon and Lake Powell and the nearest approach to the Henry Mountains in Garfield County. The Henry Mountains rise almost 12,000 ft. The Henry mountain range is the states only free roaming buffalo herd. The BLM has offices in Hanksville. Hanksville is awash in rich in folk lure of the “Robbers Roost”, the Butch Cassidy Gang and the Henry Mountain buffalo herd. Loa has an elevation of 7,045 ft. It is one of Utah’s towns highest County Seats. The name was suggested by Franklin W. Young who has served a mission for the LDS church to the Hawaiian Islands. Mauna Loa (Mt. Loa) is the second highest mountain on the islands and is an active volcano. When this Mountain belches forth, the native islanders viewed it with awe and wonder and gave it the name “Loa” which means, “high, large and powerful”. At the courthouse in Loa, you can see a most unusual rock collection from famed Doc Inglesby. On the front lawn is a monument honoring veterans of wars. The courthouse also has the offices of the County Clerk, Recorder/Treasurer, Assessor, Extension Service, Public Health, and Sheriff. Loa serves as the county center for most of the daily needs of residents, including banking, grocery, and other essentials, and also is where one of the School District’s Elementary Schools is located. Loa has two parks, one named the Harold Brown Park, so named in 1921 after a local lad who made the supreme sacrifice in World War I, this park was developed by city fathers and volunteers from the fire dept. The other park, named Turner Park, was named after the Turner family who donated the land to the town. South of Turner Park is the beautiful and historical Tabernacle. 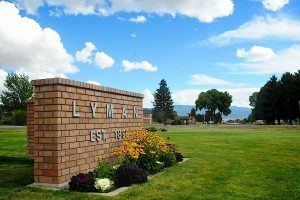 The Elevation of Lyman is 7,300 ft. This picturesque hamlet is nestled at the foot of Thousand Lake Mountain. Lyman has the shortest growing season of any towns in Wayne County. From here is the road to Horse Valley and Neff’s Reservoir, noted for its fishing and hunting. The original town site was changed to the present location at the advice of Apostle Francis M. Lyman in 1893 and was named in honor of him. The elevation of Teasdale is 7,000 ft. Named after an LDS Apostle, George Teasdale. 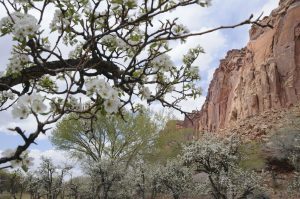 Teasdale is located at the foot of the Boulder Mountain with a beautiful view of Capitol Reef National Park and the colorful velvet ridges. The Dixie National Forest Service offices are housed in Teasdale. 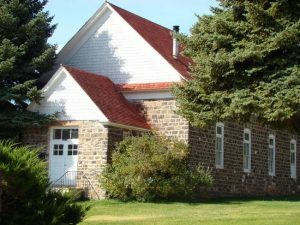 This small town has a post office, a fire station, three bed & breakfasts, a motel, a lodge and restaurant located two miles north of town along the Fremont River. The elevation of Torrey is 6,800 ft.
During its early history this benchsite was know by such names as Youngstown, Central, Poverty Flat, and Bonite. The name Torrey was chosen at the time the town got to a post office. It seems the exploit of a certain Colonel Torrey from Wyoming, who was in charge of the Rough Riders during the Spanish American War, suggested the name. Known for its tree lined main street and Big Apple Dances, Torrey has been changed by tourism. It is now the biggest little city in Wayne County. Torrey has the largest available tourist resources in the county. This town has three churches of different denominations. (Catholic, Baptist, and The Church of Jesus Christ of Latter Day Saints).